Military Operations Other Than War. Maritime Irregular Activities. Maritime Security Operations. The terminology with which we refer to humanitarian assistance and disaster relief (HA/DR), among other non-traditional functions, draws a clear distinction: there is war, and then there is everything else. Under such categorization, HA/DR is often something to do until more important responsibilities come along. That is not to say that the men and women of the United States Navy are not committed to making the world a better place. It is to say, however, that too often HA/DR runs the risk of being divorced from a wider strategic narrative. Take, for example, the reemergence of China. The People’s Liberation Army Navy (PLAN) is perhaps decades away from posing an equal challenge to the U.S. Navy outside of its near abroad, if it ever rises to that point. Yet, in the years until China develops the infrastructure, ships, and knowledge base to steam globally, it will not lie dormant. In that time, the strategic and political landscape will be shaped globally in part by a battle for soft power, building relationships, currying favor, and stabilizing troubled choke points. Under this guise, humanitarian assistance and disaster relief are not ancillary to the broader strategic landscape, but pivotal in its construction. Already we can see elements of this mindset, not only in Chinese development projects throughout the world, but in the use of the PLAN for displays of soft power. The Chinese hospital ship Peace Ark, for example, after previous stops in Asia and Africa, deployed for the first time to the Caribbean Sea in the fall of 2011. [i] And while the U.S., according to a posture statement from SOUTHCOM in 2014, deploys about 700 medical professionals to the Basin annually, such contributions (in an already low-priority combatant command) may shrink even further. Cuba, by way of contrast, has used similar missions to sustain regional favor and influence in the face of longstanding ostracism from the U.S., sending 30,000 medical professionals into the Basin, many to Venezuela. [ii] And while more doctors for a poor region is always a good thing, goodwill may be, in important measure, a zero-sum contest when we take the geopolitical long view. 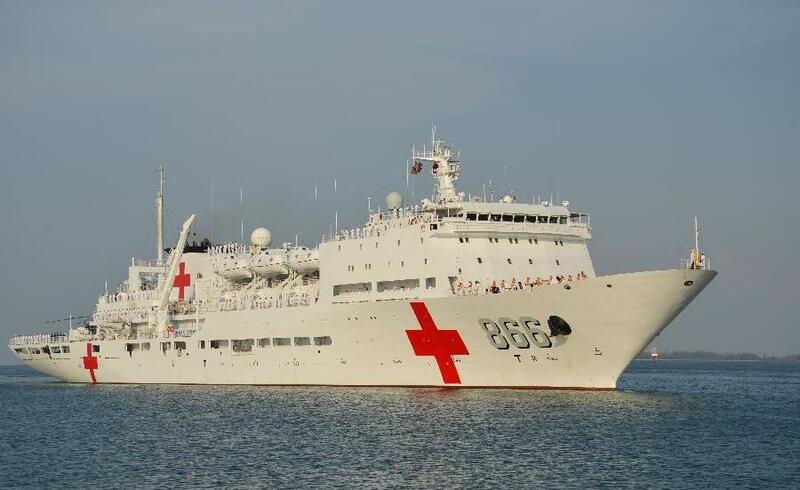 Chinese hospital ship Peace Ark. Xinhua Photo. HA/DR helps shape local political contexts, and it is within such contexts that future American diplomats and soldiers (and those of other nations) will operate. Though HA/DR is a moral imperative in its own right, without the expectation of a quid pro quo, it stands to reason that in an anarchic political landscape, nations will gravitate towards a country they have seen to have their best interests at heart. What might that look like? Humanitarian assistance and disaster relief operations offer a wide swath of the developing world an opportunity to interface positively and intimately with the faceless American war machine. Such operations introduce a new generation to what the United States does and what global leadership means. Moreover, it signals that the United States is invested in maintaining presence and stability, something incredibly important at a time when many have called into question American commitments to allies from Europe, to the Middle East, to the Asia-Pacific. In such an era, increased goodwill, through genuine engagement with local communities, could provide the foundation for easing concerns over an American retrenchment, subtly but importantly shifting the prevailing narrative of an American withdrawal. That is, after all, a difficult narrative to sustain while American sailors are frequently seen distributing medical or food aid. Or, HA/DR could signal the opposite, that another country is more invested in the region’s success than the United States. The decision rests with Washington. 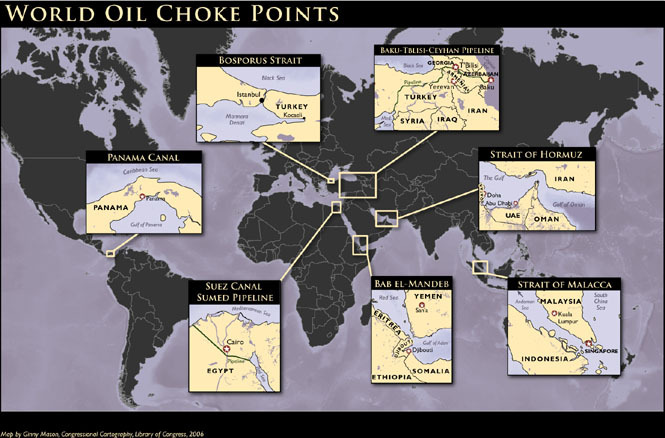 This, consequently, gives rise to another example of the strategic importance of HA/DR: the threat posed by unstable choke points. The fallout from climate change, deforestation, illegal, unreported and unregulated fishing, pollution, sea level rise, coastal erosion, corrosion of estuaries, depleted fish stocks, mass migration, poverty, urbanization on the coasts—all suggest that intensely poor littoral communities around the world will fall under greater pressure in the coming decades (as expressed well by David Kilcullen, for example, in Out of the Mountains). Increasingly at-risk populations (which continue to grow), with fewer financial opportunities, and with fewer communal ties as a result of migration and urbanization, will face ever more common and ever more devastating extreme weather. Dislocation, poverty, and dissatisfaction are recipes for instability and could threaten critical junctures in the Gulf of Aden, the Caribbean, or the Straits of Malacca and Singapore, to name just a few. Failure to secure such communities when they are at greatest peril will inevitably have reverberating implications for the maritime space. This has obvious overtones for the war on terror as well. Since September 11, we have understood that countering violent extremism requires, in part, a battle of ideas. That means wielding soft power and making positive impacts on the lives of those most in need and most at risk. HA/DR provides an opportunity to portray tangible benefits from a relationship with the West, to expose whole populations to the ‘other,’ and to let U.S. sailors continue to serve as ambassadors for the American idea. Ultimately, the responsibility of the United States Navy will remain to prevent and, if need be, win high-end conventional wars. Seen in that lens, however, HA/DR is all too often relegated to the backbench in strategic conversations. In reality, missions on the softer end of the operational spectrum present an opportunity to prevent and win battles that may be fought by those who are barely in grade school now. Humanitarian assistance and disaster relief shape the geostrategic landscape in subtle but consequential and potentially enduring ways. Until HA/DR is incorporated into that broader discussion, it will remain simply one of many operations other than war. Joshua Tallis is a PhD candidate at the University of St Andrews’ Centre for the Study of Terrorism and Political Violence. He is a Research Specialist at CNA Corporation, a nonprofit research and analysis organization located in Arlington, VA. The views and opinions in this article are his own and do not necessarily represent the position of the University or CNA. [ii] SOUTHCOM Posture Statement from General Kelly, 2014. 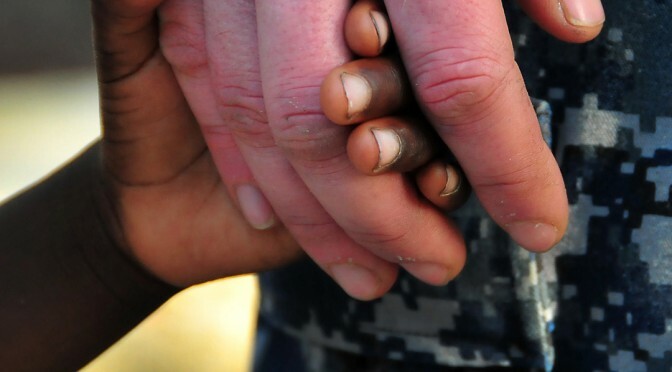 Featured image: Sailor holding an aid recipient’s hand. Source.